Aaron Sorkin, Scott Rudin, Jeff Daniels, Greg Mottola, a voice cameo by Jesse Eisenberg? What more could HBO viewers ask for? 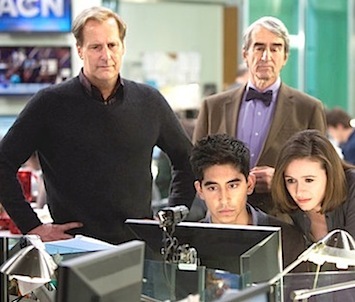 Witness The Newsroom, which debuted on Sunday with decent premium channel ratings of 2.1 million viewers.